Estée Lauder Double Wear Stay-in-Place Makeup SPF10 30ml - £25.60 - Flash Sale! Currently, Feel Unique have a 15%+ flash sale running on the following brands; Clinique, Estée Lauder, Lancôme & YSL. 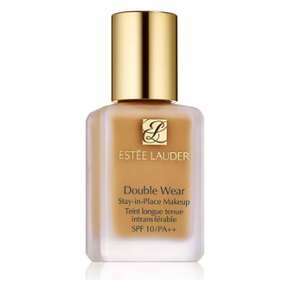 This makes Estée Lauder Double Wear Stay-in-Place Makeup £28.45 (a £5.05 saving from the £33.50 RRP). However if you combine that with the 10% off 'brand for life' (see following link for T&Cs), it reduces it further to; £25.60 (a £7.90 saving from the £33.50 RRP). 1. If you don't already, create a feel unique account. 3. The 'brand for life' 10% discount will automatically take effect at the checkout stage. Obviously, the above flash sale and 'brand for life' offer can be used for other products within the flash sale. That said, "Promotion Codes cannot be used on sale items, electrical items, 3 for 2 offers, 10% Off Brand For Life discount or in conjunction with any other form of discount". equivalent 10% off (I doubt the UNiDAYS option will work as this is an excluded brand). However please let me know if anyone manages to use this in conjunction with a UNiDAYS account (to get a further 10%) - i'd love a code if that works. Thank you ellenw.Had a quick check and it seems that they'll only honour …Thank you ellenw.Had a quick check and it seems that they'll only honour student discount using UNiDAYS:https://help.feelunique.com/hc/en-us/articles/208239725-Student-DiscountThat said, "Promotion Codes cannot be used on sale items, electrical items, 3 for 2 offers, 10% Off Brand For Life discount or in conjunction with any other form of discount". Here are the exclusions including the brands that are excluded:https://www.feelunique.com/c/promotion-codesSo in essence, if someone isn't a student (with a UNiDays account), they can use the 'brand for life' option to get the equivalent 10% off (I doubt the UNiDAYS option will work as this is an excluded brand).However please let me know if anyone manages to use this in conjunction with a UNiDAYS account (to get a further 10%) - i'd love a code if that works. Managed to use both discounts last week, used daughters Unidays, didn't realise NUS was different. Go to Zeek from TopCashback for 1.05 cashback (6.30 if a new customer) then order £20 feelunique voucher for £18. Then back to TCB for feelunique for an extra £1.22 cashback on top of 10% brand discount. If a new zeek customer could get for 28.45 - 10% brand discount = 25.60: paid with previous £20 zeek (cost £18 and pay £5.60 balance = 23.60 with potential 6.30 and 1.22 cashback = £18.52! Look fantastic has 20% off.